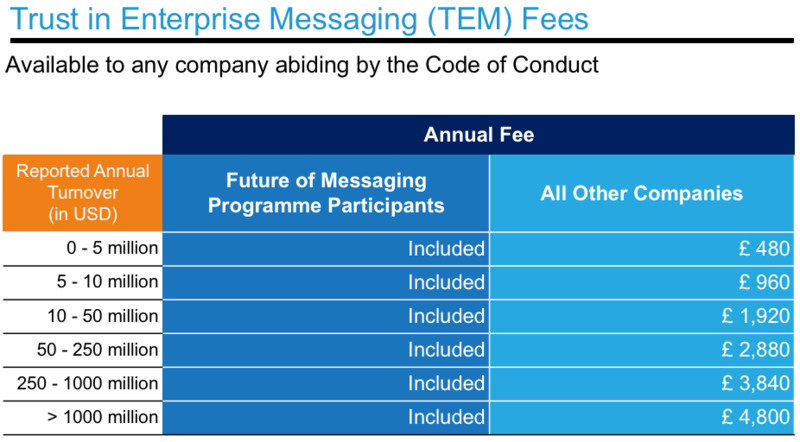 Trust in Enterprise Messaging is a self-regulatory service. It is open to all actors in the enterprise messaging ecosystem. To participate companies must be signatories of the A2P SMS Code of Conduct and abide by the 10 principles of this industry Code. Signatories are awarded the Trust in Enterprise Messaging Badge. An annual subscription fee applies. To sign up to the Trust in Enterprise Messaging Service please register below. Along with the Code for signature, you will receive T&Cs to finalise your participation.